Nashville Fair Board voted to approve a makeover of the Nashville Fairgrounds on recently. NASHVILLE, TN — The Fair Board unanimously approved a plan Tuesday that will remake the Fairgrounds. It includes new Exposition buildings, entertainment venues, mixed income residences, office space, a hotel, retail shops., and a 27,500- seat soccer stadium. The plan “addresses” all of the current uses of the Fairgrounds like the Speedway, State Fair, and Flea Market. Or so they say. “The process was very intense but by bringing everybody together, not only the public but also the various design teams, that are working on different components, we were able get a consensus rather quickly and I think we have a clear direction,” said Project Manager Ron Gobbell. In 2015 Gobbell managed the construction of First Tennessee Park, the new Sounds Stadium. Opponents say this plan will mean the Tennessee State Fair will never return to Nashville. “There are people who object to certain parts of this but you can’t make everybody happy. 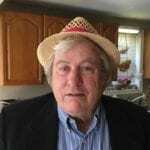 I do think we have to charge forward and improve this facility,” said Fair Board Chairman Ned Horton. The popular Gun Shows have gone to Wilson County but the Tennessee State Fair will be held at the Fairgrounds this year September 7-16. However, the Fair Board’s five-year contract to operate the fair ends December 2018. A recent state law grants the Tennessee State Fair Association authority to operate the state fair from now on. “We were in the state fair business for a long time. That was taken away from us. But I can tell you this: we will get back into running a fair business. What we’ll call it if we don’t have the Tennessee State Fair name if they choose to leave…. but we will have fairs here,” said Horton. But it is not clear if there would be enough space to host a big fair with midway, exhibitions, rides, and concessions because a new $250 million MLS stadium will be in the way. Save Our Fairgrounds Chairman Rick Williams says Horton’s whistling Dixie. “It’s a giveaway in the form of a long term lease to developers and millionaires and billionaires to make more money and put a soccer stadium on this site which will ultimately destroy the Fairgrounds as Nashville knows it,“ said Williams. And there’s a legal problem with the new plan, too. Steve Reiter says it violates the charter that has governed Fairground operations for decades. He said the contract provides 100 acres to the State Fair operator to put on the event. “What they’re doing is taking that 100 acres away. 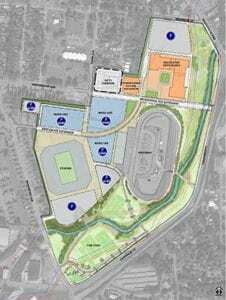 This plan that’s being presented for the soccer stadium and the ten acres, it would make a state fair unfeasible and unworkable and not successful,” said Reiter, a citizen who attends many meetings, hearings, and watches city politics like a hawk. “It doesn’t say in the charter you have to have a gun show. It does say in the charter that you have to have a fair,” he said. Kim Hawkins, a consultant who is managing the planning of the Fairgrounds makeover told the board that zoning changes will be required for the redevelopment and should be finalized by September. Hawkins said the Fair Board, Sports Authority, and Metro Council will be weighing in on various parts of the plan between July and October. 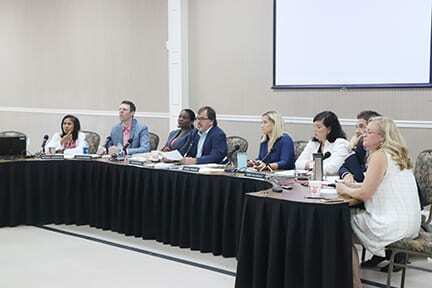 The Fair Board did not discuss changing the charter to permit the changes they are planning to make. The vendors are unhappy about losing their spots on the top of the hill to John Ingram, owner of the new MLS team, who plans to develop 10 acres the city is giving give him as part of the $275 million stadium deal. Even so, the new Expo facility will have 125,000 square feet of air-conditioned space and 100,000 square feet of covered space. It will be more modern than current Expo buildings with multiple loading zones and roll up doors. The square footage is the same as in the old set up but critics say the devil is in the details, one of which is parking, and there’s never going to be enough of it with the current plan. Shane Smiley who represents the Flea Market Vendors Association, said there was no consensus formed with his group on the new plan. “The fact is the flea market venders told them ‘no MLS at the Fairgrounds. It’s the right city but the wrong location’,” Smiley said. “What they’re proposing doing is minimizing, downsizing and strangulating all the current events. Look at the Speedway contract. They said a 30 year lease was not desirable. Six weeks later they granted a 30-year lease to MLS.” Smiley said.